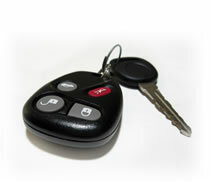 Due to recent technologies, there are now multiple types of automobile and car keys available. In fact, there are four main types of keys used today in order to operate your vehicle. The four types include a regular car key, a valet key, keyless entry systems, and a switchblade key. Depending on what type of vehicle you operate and the particular car company, you may have any one of these keys on your key ring. Let us now explore what each of the keys are and how they operate. Car Key: this is the normal type of key that you are most likely used to seeing. This type of key was used by all car companies at one point. Only recently have higher end companies starting switching to more sophisticated key types. This type of key usually has a logo on the grip of the key and symmetrical ridges in the stem of the key. These keys are able to start the engine, open the trunk, unlock doors, and open the glove box. Valet Key: this type of key is an additional key that many car companies now offer. This key is specifically designed for use at a valet stand. The great thing about these keys is that they can only start the ignition of a car. They will not unlock the trunk or glove box. Depending on the car company, some valet keys even restrict the amount of power the engine can output. This helps prevent valet workers from joyriding in your vehicle. Key-less Entry Systems: with key-less entry systems, you no longer need a key to enter your vehicle. You simply have a small remote with buttons to unlock the car or there is a keypad on or around the door handle. Depending on the version of key-less entry, there may not even be a key to start the ignition. There could possibly be a button where the key would usually go, or there is a button on the remote you use to unlock your car. Switchblade Key: recently, switchblade keys have been used in order to cut down on the bulkiness of peoples key rings. This type of key looks just like a remote which has buttons allowing you to unlock, lock, open the trunk, and set off the alarm on your car. There is usually a small silver button you push which will allow the key stem to appear from the remote. This allows you to only carry one key rather than two. As you can see, there are multiple types of car keys out there. All of these keys are in use today; it all just depends on the type of car you operate. No matter what company you buy a car from, you will always have a regular car key available. If you ever lose yours and need to get some replacement car keys, this is the place to go!